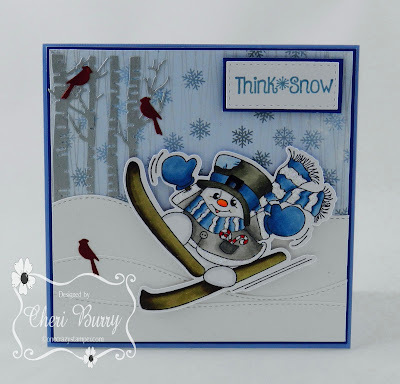 It seems funny that today is Halloween and I'm sharing with you a winter themed card LOL. 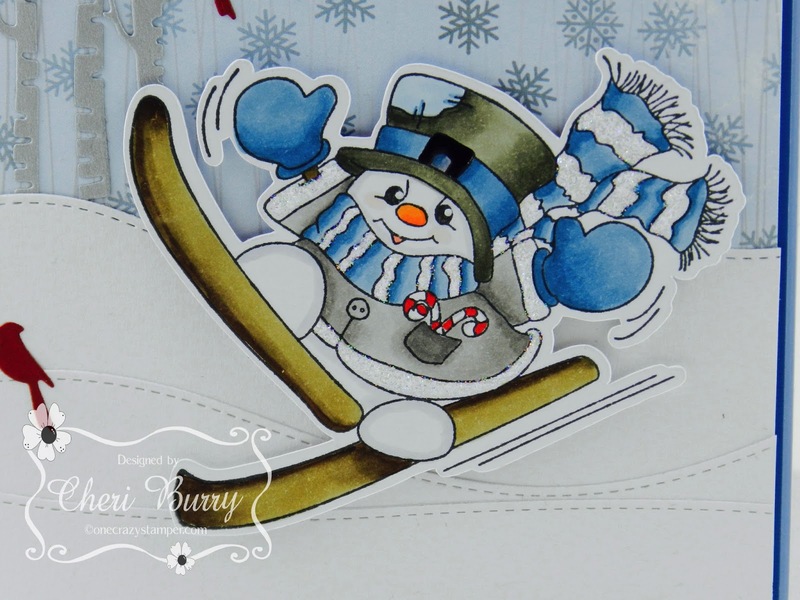 This super cute image is called "Skiing Snowman" from High Hopes Stamps. I know a few people who love to ski so this will be the perfect card to send to them this Holiday Season! My favourite winter colour combination is to use blues! 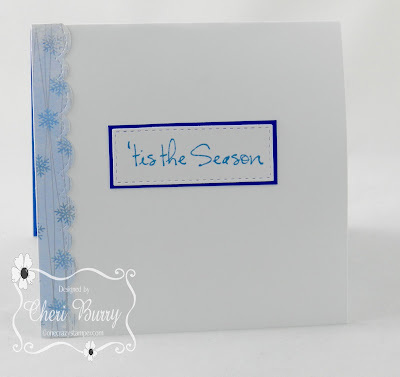 The paper in the Bo Bunny Sleigh Ride collection are beautiful and perfect for this card! The sentiment "Think Snow" is also from High Hopes. I cut out the trees, birds and snowdrifts dies with my Big Shot and then added the Snowman with some foam squares for some added dimension. Tomorrow starts a new Challenge for the month of November so come on back to the OCS Blog and see all the details and Design Team creations! Thank you for joiningus in our challenge this month. We had fun looking at all the fabulous entries! We used random.org to choose the winner. Jirawadee please email me at sberkley51 at gmail dot com to claim your prize. 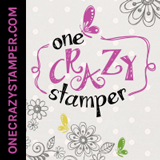 Check back tomorrow for our new monthly challenge and another chance to win a prize from One Crazy Stamper. 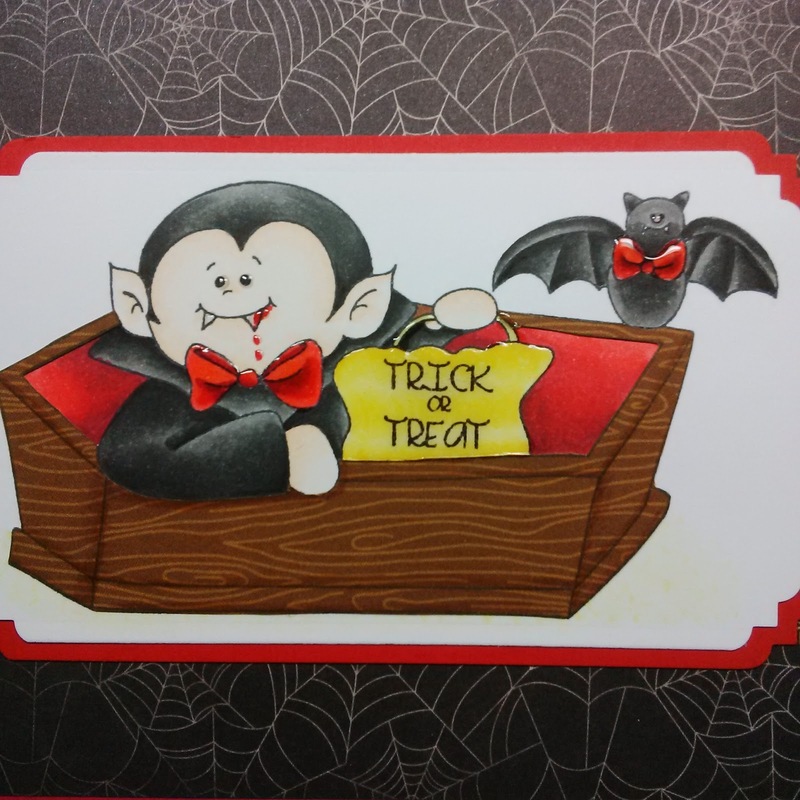 Thank you for visiting today, hope you enjoyed todays card- Happy Halloween to All!! 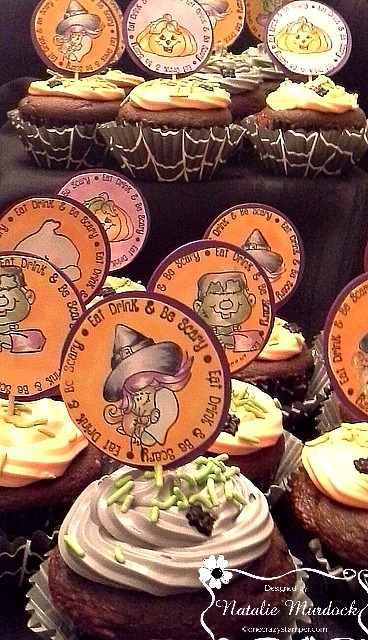 October has flown by and there are only two more days until Halloween is celebrated! My card today features another adorable new image from the latest High Hopes release. 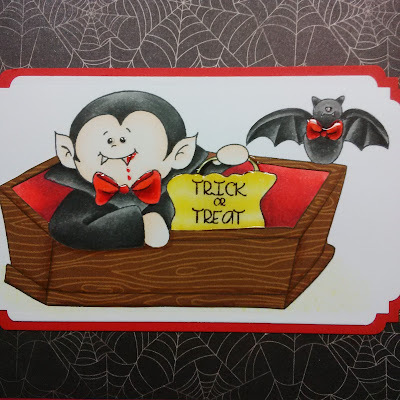 This is "Vampire Treats" available here, that I have colored with Copics, and then fussy cut. 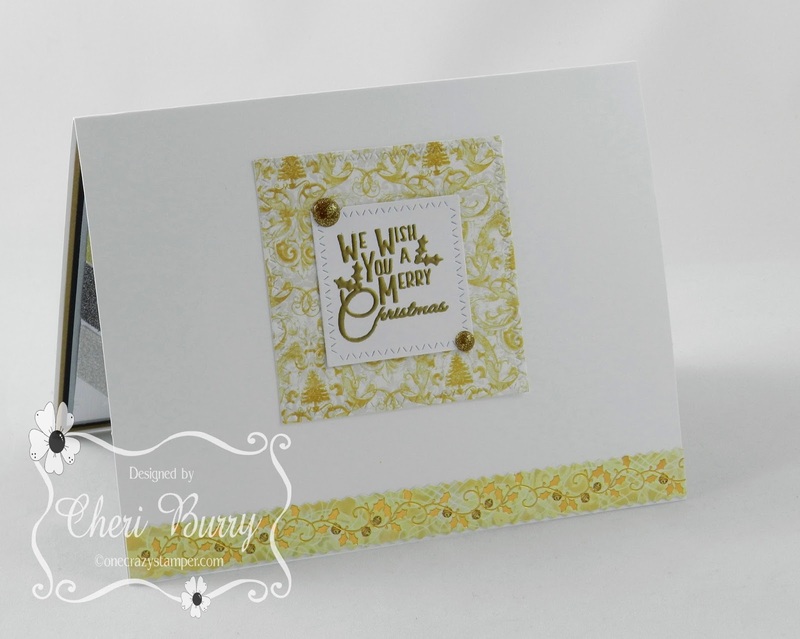 The card front was created with Distress Inks ( Black Soot, Broken China, and Mustard Seed ), and a Memory Box die. The sentiment is also a High Hopes stamps that you can purchase here. Eat, Drink and Be Scarry -- High Hopes Stamps, Happy Halloween! I'm back with a yummy project to share! Hot glue a toothpick between the two pieces and your done! As for the cake...it's a mix so that's super easy too, (devils food cake)!! 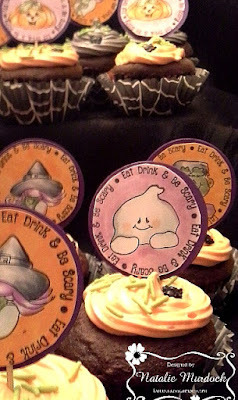 These cupcakes are going with me to work in the morning, a little Halloween treat for my co-workers! Another week is almost over and in a few more days, Halloween will be here. 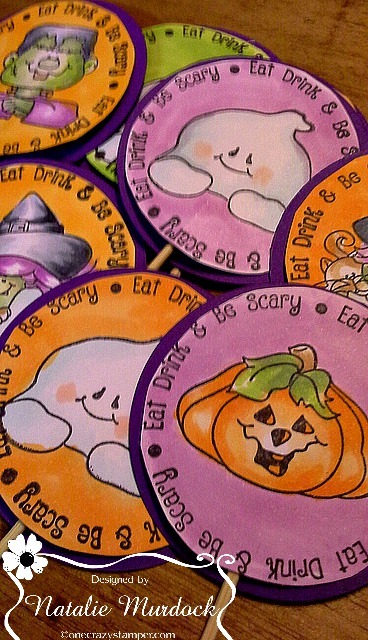 Are you ready for all the Ghosts, Goblins, Witches, and other freakish, frightfully delightful costumes. 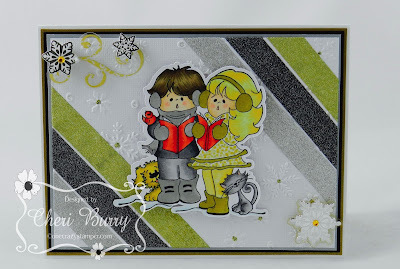 For my post today, I have used Frankie from the "Joys of Seasons", the latest release from High Hopes Rubber Stamps. There are still a few days left to enter this month's challenge. 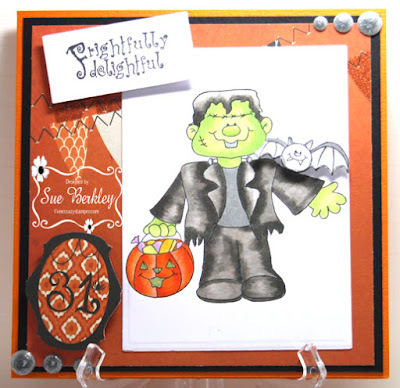 On Sunday, while you are relaxing from all the Trick & Treaters, take a peak at the OCS brand new challenge and visit Lora's OCS store for any supplies that you might want or need for your crafting endeavours. 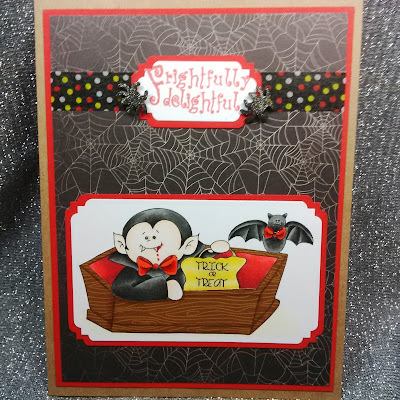 Hello crafty peeps, Halloween is just around the corner so today Im sharing a witchin' card using a stamp from HH's newest release. This wee witch is so cute, I coloured her with copics, added some embellies and heat embossed my boo sentiment onto the dp. Have a great day, and safe Halloween!! Thanks again for stopping wow, October is almost done, where does the time fly to? Here is my card for this months challenge here at One Crazy Stamper was so fun. So cute, this stamp is. 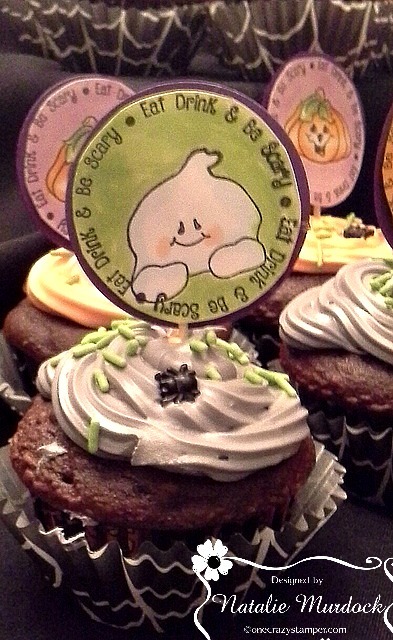 I love the puppy and the cat, great job High Hopes Rubber Stamps. I am using the fun stamp called Pumpkin Buddies. 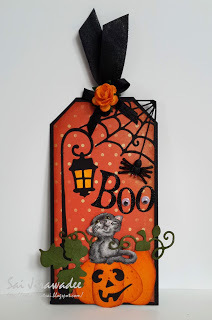 I added a paper web and sparkle spider, also a foam cat and a pumpkin. Embossed the card stock and added a tiny ribbon. Of course colored my friends using copic markers. 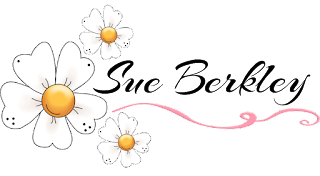 I hope you get a chances to stop by Lora's store and you still have time to enter your project in with our challenge. Till next time happy crafting. 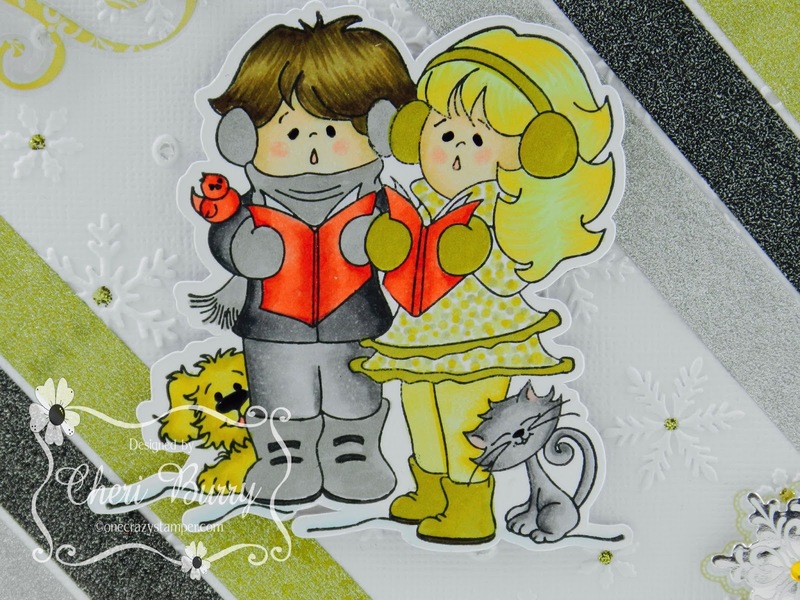 Today I'm sharing with you a card I made using the High Hopes Stamps "Carolers" image. This is from the new Joys of the Season collection. For my card this time I challenged myself to not use any Designer paper. 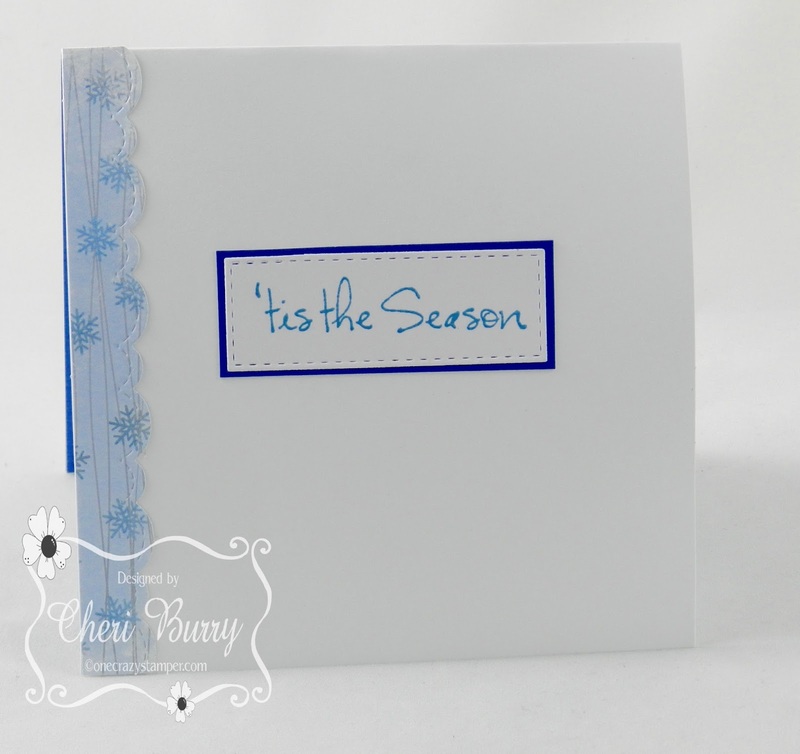 I took a piece of white cardstock and embossed a snowflake pattern onto it using my Big Shot. I added strips of Docraft metallic washi tape in black, gold and silver. 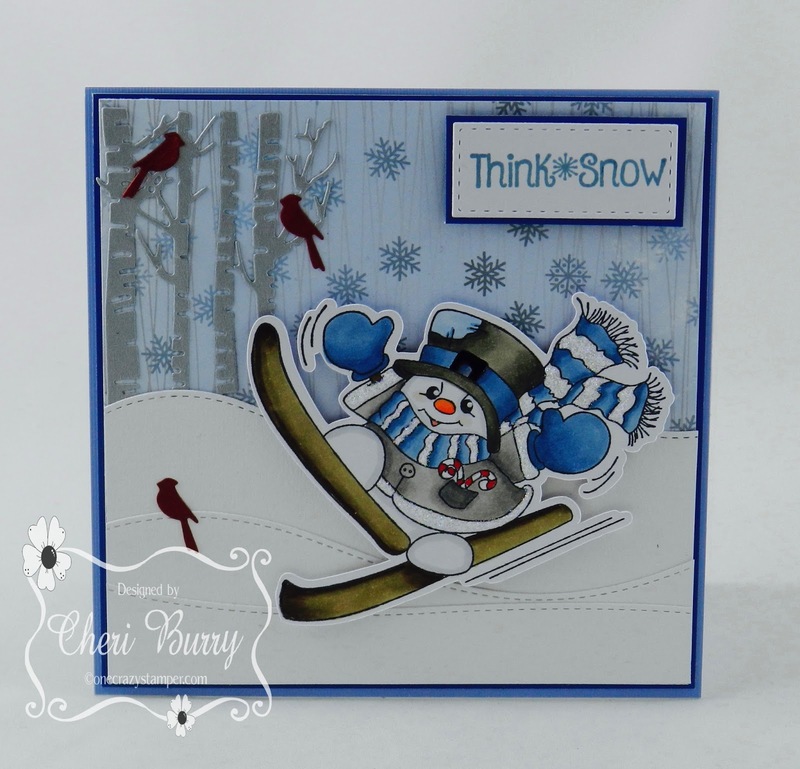 A few snowflake embellishments and gold Stickle dots on the snowflake middles completed my card. I did give in on the inside and used a small scrap of Designer paper LOL. The sentiment is also from High Hopes and is called "We Wish You a Merry Christmas". You still have time to enter into the OCS October Challenge called Christmas/ Halloween /Fall.